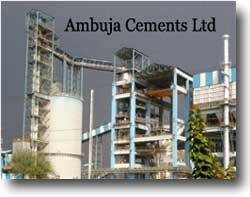 Ambuja Cements Ltd. (ACL) is one of the leading cement manufacturing companies in India. The Company, initially called Gujarat Ambuja Cements Ltd was founded by Narotam Sekhsaria in the year 1983 with a partner, Suresh Neotia. Sekhsaria's business acumen and leadership skills put the company on a fast track to growth. The Company commenced cement production in the year 1986. The global cement major Holcim acquired management control of ACL in 2006. Holcim today holds little over 50% equity in ACL. The Company is currently known as Ambuja Cements Ltd.
ACL since the inception has grown dynamically over the past decade. Its current cement capacity is about 27.25 million tonnes. The Company has five integrated cement manufacturing plants and eight cement grinding units which is expanded across the country. ACL has the reputation of being one of the most efficient cement manufacturers in the world. Its environment protection measures are very much on par with the finest organizations in the country. It is one of the most profitable and innovative cement companies in India. ACL is the first Indian cement manufacturer to build a captive port with three terminals along the country's western coastline to facilitate timely, cost effective and environmentally cleaner shipments of bulk cement to its customers. The Company has its own fleet of ships. ACL has also pioneered the development of the multiple bio-mass co-fired technologies for generating greener power in its captive plants. ACL has always met tough challenges and seized the opportunities that have come its way. It has nurtured the same spirit of enterprise and search for cutting-edge technology with which it was started. It thus continues to be the driving force and in many ways a benchmark for the cement industry in India. Over 25-30% of the production cost of cement is power. It quickly became clear that if they were to run an iconic company, then they needed to keep power costs to the minimum. So they focused their efforts on improving efficiency at their kilns to get more output for less power. Next they set up a captive power plant at a substantially lower cost than the national grid. They sourced higher quality coal from South Africa and better furnace oil from the Middle East. At every step they found that new and innovative solutions could be found if they kept an open mind. The result is that today they are not only self-sufficient but are in a position to sell excess power capacity to the local state government. The organisation's sea-borne bulk cement transportation facilities have meanwhile brought many coastal markets (domestic as well as export markets) within easy reach. This has been a major factor in making Ambuja Cement as India's largest exporter of cement - consistently for the last fifteen years. 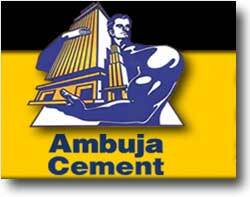 Ambuja Cements Limited value the importance of people who work for the Company. For it is they who have brought the Company to what it is today thereby making cement from a Commodity to a Brand. The strength of the Company lies in its 'PEOPLE POWER' which represents its ethos of giving employees the power in setting and achieving their own targets and goals within a stipulated time. This has helped in building the most process-driven Organisation and enhancing cross functional leadership. People Power has become a way of life at Ambuja Cements. The Company believes in the spirit of 'I CAN' thereby empowering its people to take up challenges, accept responsibilities and set their own targets and goals and achieve them to their best. It symbolises what makes Ambuja Cements different from the other companies. The Company which is a part of the Swiss Group, Holcim, takes care of not only its employees but also its vendors and customers by implementing strict safety norms and aims at achieving 'Zero Harm' across the Organisation. It believes in sustainable development. Its HR systems are aimed at employing, developing and retaining best talent. An inspiring combination of growth prospects, transparency, fair practices and a good work culture is what makes Ambuja Cements Limited an Organisation that people want to be part of. Muldwarka, Gujarat: All weather port, 8 kms from Ambujanagar plant. Handles ships with 40,000 DWT. Is also equipped to export clinker and cement and import coal and furnace oil. A fleet of seven ships with a capacity of 20500 DWT ferries bulk cement to the packaging units. Surat : Bulk Cement Terminal with a storage capacity of 15,000 tonnes has bulk cement unloading facility. A Grinding unit has also become fully operational at this location. Panvel : Strategically located near India's biggest cement market, has a storage capacity of 17,500 tonnes and a bulk cement unloading facility. The organization has nationwide reach with strong footprints in the West, North and East India. Its cement plants cover strategic locations in all these regions. A wide dealer network of over 26000 dealers and retailers nurtured on empowered partnership enables its cement to reach even the tiniest village in India. Corporate Office : Mumbai Elegant Business Park, MIDC Cross Road 'B', Off Andheri-Kurla Road, Andheri (E), Mumbai 400059 Ambujanagar - Po. Ambuja Nagar, Tal. Kodinar, Dist. Junagadh, Gujarat - 362715 Bhatinda - Malout Road, Near Guru Nanak Dev Thermal Plant, Bathinda - 151002, Punjab Bhatapara- PO: Rawan, Tehsil: Baloda Bazar, Dist. Raipur 493 331, Chhattisgarh.